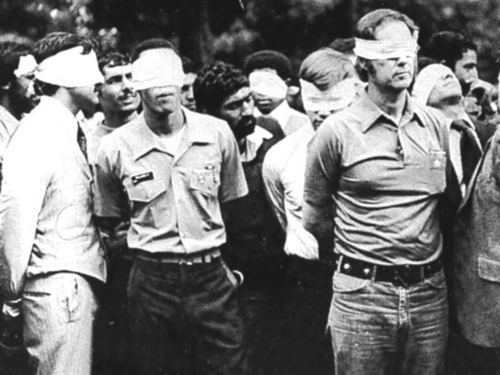 The American hostages in Iran will be released, not because of U.S. action but because of Iranian politics. The American hostages are coming home soon - probably before Reagan enters office. Since the Shah fled almost two years ago, the major factions that joined to expel him have been in a conflict that has pushed aside such concerns as a collapsing economy, the Soviet invasion of Afghanistan, and even the war with Iraq. These two factions can be characterized as nationalist and Moslem activist. The former, led by such men as Mehdi Bazargan, Sadegh Ghotbzadeh, and President Abolhassan Bani-Sadr, have attempted to put Iran back on the path of economic development and national unity. Although they are all pious Moslems, they are not afraid of Western techniques for modernizing Iran. By contrast, the second group believes more in isolating Moslems from the corrupting influences of Western civilization than in harnessing its technology. Although organized as the Islamic Republican Party, most of their leadership – Mohammed Beheshti, Hussein Ali Montaseri, Ali Rafsanjani – are professional religious men. A better deal from Carter? The conflict between these two groups takes place at every level of the society, with every weapon. And that is where the American hostages' presence benefited the activist Moslems and hindered the nationalists. Their captors, the most radical of the activist Moslems, have used them to hoist banners of anti-Americanism, which stymied attempts by the nationalists to return to normal international relations. Their defiance of accepted diplomatic practices isolated Iran, cutting it off from foreign influences and advancing the Moslem activists' control over the country by segregating and discrediting their rivals. And now there are growing signs that the Moslem faction has vanquished the nationalists. Prime Minister Mohammed Ali Rajai has acquired decisive control over President Bani Sadr. Revolutionary guerrillas of the Moslem faction are fighting the Iraqis more effectively than the regular army. 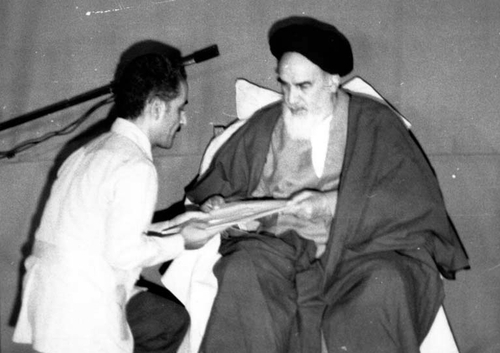 Mohammed Ali Raja'i (L) with Ayatollah Khomeini. Most important, several activist Moslems have called for the release of the hostages, arguing that their presence hurts Iran more than it helps their cause. In fact, the Moslem activists no longer need the hostages as a weapon in the internal political game. Because the war with Iraq makes it increasingly imperative that Iran resume normal relations, the Iranians are probably now prepared to release the captives. The timing of their release cannot be predicted, but it could well occur before Ronald Reagan takes office. President Carter will undoubtedly make every effort to bring them home before his term ends, and the Iranian leaders could well conclude that he will give them a better deal than Reagan.